Despite Japan’s period of sakoku (self-imposed closure of the country) being confined to the history books, there are avenues of Tokyo—and indeed the country’s culture at large—that can still feel closed off and thus inaccessible to even long-term foreign residents. However, it is important to remember that this is an experience common to most, if not everyone, in Japan. No one enters the city with an inbuilt ability to navigate the metropolis, but rather this information and guidance is disseminated through the urban space from within. Long before the dawn of the internet, it was the department store that took on this role; and it continues to do so to this day with an unparalleled service industry that enjoys a truly enviable presence on the world stage. It is no coincidence that Tokyo’s 2020 Olympics bid was under the banner of omotenashi, the Japanese term for truly selfless service that extends beyond merely meeting the customer’s expectations, but also to emphasize the expertise of the staff. Omotenashi dates far back into Japanese history, but begins to solidify in the 17th-century amid Edo-era society as the grip on Japanese culture shifted from the samurai feudal class to the emerging merchant class. 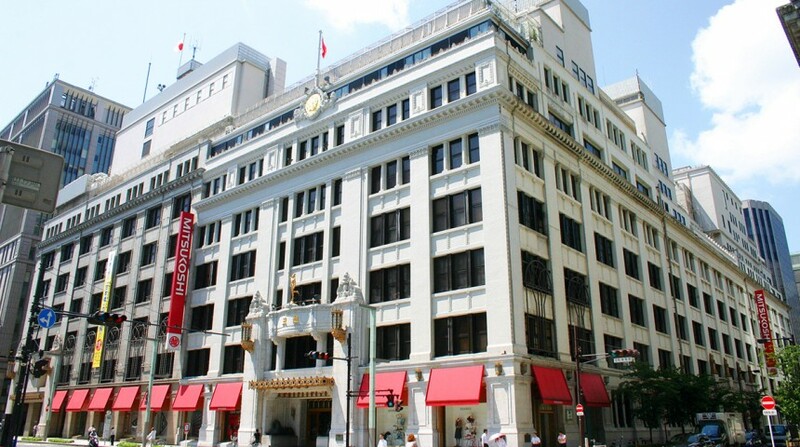 Japan’s first department store, Mitsukoshi began in this era when Mitsui Takatoshi founded the Echigoya store in 1673, which would go on to take the name Mitsukoshi with the arrival of the Meiji Period. During the early 20th century, under the guidance of managing director Hibi Ousuke, the store would take its lead from industrialized nations in the West as Japanese society as a whole embarked on a process of modernization. At that time, Mitsukoshi even went so far as to pay homage to the historic department stores of London by incorporating lion statues inspired by those found in Trafalgar Square into the front entrance; but without compromising the Japanese merchant values at its core. Even as the department store would go on to boast the very first escalator in Japan as early as 1914, as well as a Western-style art-nouveau theater, the store balances Japanese values and aesthetics with those from abroad, an approach typified by the statue representing the idea of magokoro, or “sincerity,” that stands in the central hall of the main building. 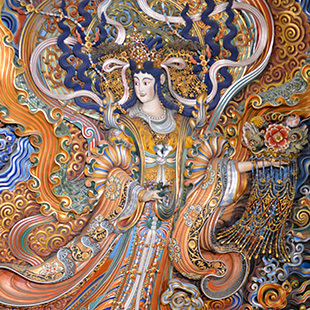 This work by renowned craftsmen Gengen Sato sits surrounded by marble and the Western architecture of the main hall, a reminder not only of the philosophy of the store, but the delicate balance between East and West that Mitsukoshi strives for with its theme of “culture resort department store,” which encourages visitors to have fun and play. This theme of bridging cultures is to be found throughout Mitsukoshi to this day, with the excellence of Parisienne fashion houses sitting comfortably next to kimono brands that boast histories of equal length. Even as Mitsukoshi went on to expand across Japan—and later abroad—the flagship store in Nihombashi (often written these days as Nihonbashi) has remained the location that emphasizes this completeness above all else. In no other Mitsukoshi can you find such a complete range of high-fashion brands. Beyond fashion, likewise in beauty and lifestyle you are well-catered to, with the level of service required to make it accessible to all, no matter the background. Keen to emphasize the fact that tradition ought not be confined to the history books, Mitsukoshi Nihombashi is also a proponent of traditional Japanese artisanal crafts, with frequent exhibitions of both museum displays and work by contemporary artisans working in the genres. This month sees the 62nd Japan Traditional Kōgei Exhibition opening its doors from the 16th through the 28th featuring an array of ceramics, metalwork, urushi lacquer work, and kimono. While this may feel like a conventional museum experience, there are few places, even in Tokyo, where you can see an exhibition and purchase the award winning products on display. Mitsukoshi will offer an English tour of the gallery to see the award-winning crafts. Sep 19-20, 1:30pm & 3pm. Free admission; max. 15 people per tour. Tel: 03-3241-3311. Ask for the Foreign Customer Service Counter to reserve in advance, or apply at reception on the day of the event. Even though you can buy a perfectly serviceable green tea from a vending machine, it is well worth remembering that there is a whole culture surrounding the humble cup of tea, and more importantly that you don’t need to go to Kyoto in order to partake in it. As ever, the issue remains one of accessibility. I dare say that most readers won’t know exactly what temperature to make kariganecha, nor the right ratio between tea leaves and water in sencha. If all that talk has you running back to the vending machine, don’t worry. 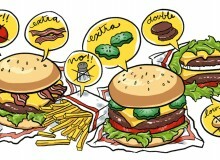 After all, unless you have been taught, the world of English tea or artisanal coffee is probably equally baffling. 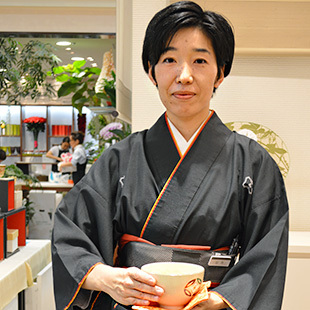 Mitsukoshi has endeavored to make the process of learning as easy as possible, with demonstrations of correct tea-making available in-store. To this end Mitsukoshi has worked with legendary Kyoto tea brand Fukujuen on a self-contained set to enable you to work on your own art of tea at home. The set includes all the pieces of the puzzle you might not have thought of, including powdered green tea (matcha), whisk, bamboo scoop, and tea bowl, as well as English instructions for those whose knowledge of tea-specific kanji is understandably not quite up to scratch. The centerpiece of the set is a Fukujuen bowl, which you can always rely on to distract your audience while your tea-making skills improve. To accompany your tea, why not consider traditional Japanese confectionary, or wagashi, currently experiencing a boom worldwide? Until now generally thought of as a rather plain genre of sweet designed to balance the bitterness of Japanese tea, the world seems to have woken up to the fact that there are not only many iterations to be found, but also that some of them are altogether on the bombastic and colorful side. 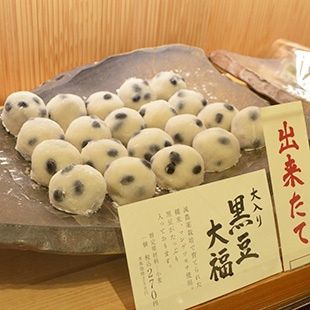 If you are looking for an authentic wagashi shop, Mitsukoshi recommends Eitaro, an artisanal confectionist who rose to prominence at the tail end of the Edo Period in the Nihombashi area. Eitaro takes a showman’s approach to their sweets, not only making their wagashi live in-store in front of their customers, but also making their sweets in cute seasonal shapes such as chestnuts or maple leaves, or packed with references to Edo such as Japanese sword hilts, liable to win anyone over to the wagashi cause. Elsewhere, Eitaro takes on the mantle of continuing to develop wagashi, including wrapping them in nori, continuing the Japanese tradition for ame—real fruit juice-based candies that anyone can enjoy, but that still pack a uniquely Japanese wagashi taste. 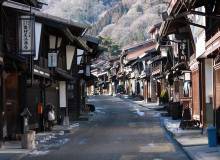 Don’t let the language barrier be cause for not having a taste of Japanese fashion culture. Many services and shops at Mitsukoshi have bilingual materials for those who don’t speak Japanese quite as well as they would like, and on the second floor of the annex there is also a concierge service for those who need translation assistance or advice in either English or Chinese. Aside from services aimed at temporary visitors and tourists, such as free Wi-Fi and currency exchange, the Foreign Customer Service Counter can also facilitate delivery to select hotels and airports, and offer interpretation should you need it. 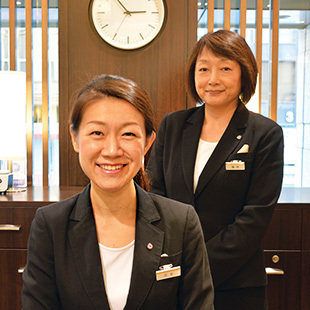 Above and beyond the services, the foreign customer service counter aims to be the gateway to shopping for the Nihombashi area, and the staff are more than happy to field general questions as well as recommend nearby unaffiliated shops if those fulfill the customer’s specific needs. So if you need any help at all unlocking all that the Nihombashi area has to offer, this should be your first port of call. Mitsukoshi Nihombashi. 1-4-1 Nihonbashi-Muromachi, Chuo-ku. Tel: 03-3241-3311. Learn more about Mitsukoshi at their website.